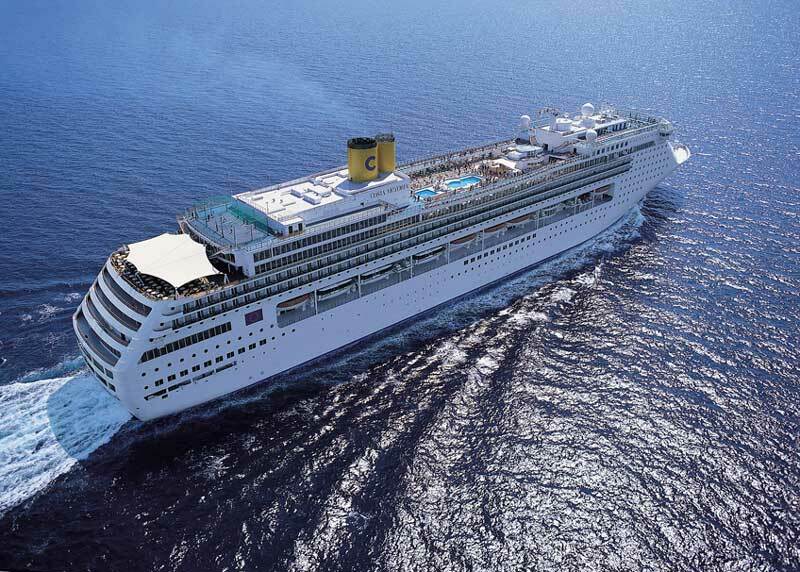 12 crew members have been rescued in Asia thanks to the help of the Costa Victoria cruise ship which is currently operating in the region for Genoa based Costa Cruises. The 12 castaway crew members were from a burning fishing boat which was working in the Southern China sea on the morning of November 3rd. Costa states that while the 75,000 ton ship was sailing from Hong Kong to Sanya Hainan Island the burning boat was spotted. Offices on the ships bridge noticed the small boat was in trouble and as a result the ship’s captain changed route so the Costa Victoria could offer help. 12 crew members were rescued and given any medical attention required. Sadly two crew members are still missing. The Costa ship helped a Coast Guard helicopter from the Sanya Hainan Islands in searching for the remaining crew. Due to bad weather Costa has stated that the remaining crew members did not survive. Authorities later gave the Costa Victoria permission to continue it;s voyage towards the Sanya Hainan Island which are in the Hainan Province, in Southeast China. No delay in the ships current cruise is expected.